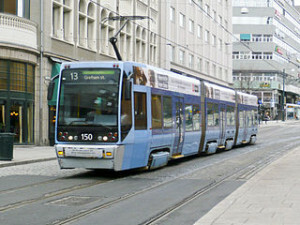 Oslo has an integrated transportation system consisting of trams, metro trains, buses, and boats. For the payment of public transportation, you can use the ticket or pay directly on the bus to the bus driver. Prices charged if paying on the bus is 40 NOK. Another way that is faster and cheaper is to use a travel ticket valid for 24 hours or using Flexi Card consisting of 8 coupons. Each coupon is valid for one hour’s drive. Option to use Flexi Card is cheaper if you are going to explore Oslo for several days. If you would surround Oslo just a day, it is better to use 24hour Card. Ride tickets can be purchased at Trafikanten which is located right next to Oslo S, Narvesen, Deli de Luca, 7-Eleven, or other minimarket. In the Oslo area is divided into several zones so that ticket prices are also different way for each zone. Travel tickets in Oslo and Akershus divided into Tickets Tickets Oslo. For transport in the Oslo area, simply use the Oslo Tickets prices have been mentioned previously. Meanwhile, for transportation outside of Oslo and Akershus covers areas such as Asker, Lorenskog, Baerum, Royken, Gjerdrum, Oppegard, Skedsmo, and Sorum, Akershus Tickets must use. Tickets prices for the applicable Akershus up to 24 hours covering 4 zones of 140 NOK, while the contents Coupon Card with 30 coupons sold at prices ranging from 270 NOK. If you go to Baerum of Oslo, you should be able to seal the five coupons for Baerum located in four zones. If confused how much should stamp coupons, coupons to give it to the bus driver and specify your destination, the bus driver will stamp coupons according to the zones that will be pursued. Most of the tourist attractions in Oslo were still in the city center of Oslo. Only use Tickets Oslo, we’ve been able to visit all the sights or use the Oslo Pass which allows you to use all public transport without having to pay an extra ticket.